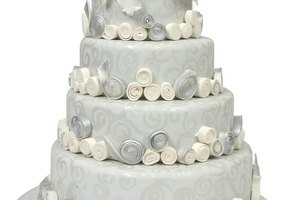 Whipped cream is delicious and versatile; however, sometimes the plain white color can be boring visually. 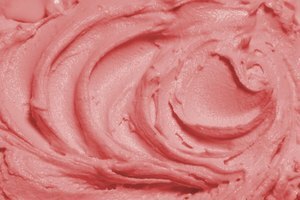 A beautiful pastel pink color can easily be achieved by using red food coloring, but adding color to already whipped or store-bought cream is not an option, as the process would collapse the cream. Unfortunately, a dense pink color cannot be created in whipped cream as it would require adding too much liquid and the cream would not hold its form. Start whipping the cream as usual until it just begins to expand and thicken. Add 2 to 3 drops of red food coloring to the whipped cream. Continue whipping the cream. 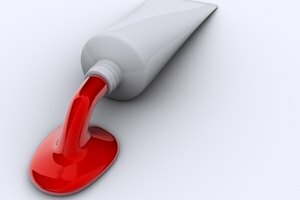 As soon as the color is incorporated, decide whether there is enough coloring in the cream and add more coloring 1 drop at a time if a deeper shade is needed. Continue whipping until soft peaks form. Create your own red food coloring by simmering pure beet, cranberry or raspberry juice in a saucepan on the stovetop until it has reduced to 1/4 of the original volume. Be careful to use this coloring sparingly. The flavor of the juice is not noticeable with just a few drops but will start to show if 1/2 teaspoon or more is used.